Ensuring medical safety becomes a parent’s top priority when their child is newly diagnosed with type 1 or type 2 diabetes. It can be a scary experience that almost 25,000 children and their parents face each year in the United States. These newly diagnosed children join over 208,000 people under the age of 20, along their families, whose everyday life now includes continuous management of the disease. This management is not only a delicate balance and monitoring of a child’s physical activity, food intake and medication but also includes a heightened concern for their social and emotional well-being. Fostering self-management and future independence becomes a focus for parents raising a child who has diabetes. There is clearly a place for mobile device technology and apps to help children with diabetes and their parents. Apps can serve to educate and engage in optimal diabetes management by assisting with reminders and alerts, providing reference information for the carbohydrate content of food, logging carbohydrates consumed, documenting insulin injections and recording measured blood glucose levels. These are all critical details that help determine individual blood glucose responses and trends over time. Many glucose monitoring devices and insulin pumps collect, store, and transmit data and are compatible with many health apps. Some monitors have their own specific app so individual research is a good idea for consumers before making a purchasing decision. These capabilities are advances in technology that not only ease the task of record keeping and improved control of blood glucose levels, but also serve as an excellent tool to communicate data to one’s health care team. The medical team that is following your child for diabetes management will be the best first resource when looking for high quality apps that are compatible with specific blood glucose monitors and insulin pumps. It’s important when selecting a tracker/logging app to also be in line with the medical team’s communication system for optimal sharing and feedback regarding insulin to carb ratios. 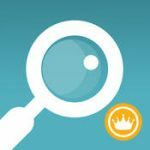 BridgingApps has researched and compiled a list of some high quality apps along with summaries of their purpose for how they can be used with children who have diabetes. And, if you are an adult with diabetes This app list can be helpful too! But no matter which apps you and your family choose to help with diabetes management, BridgingApps highly encourages you and your child to set up your “medical ids” on your mobile phones with the most current health and medical information so it is accessible to first responders in times of an emergency. 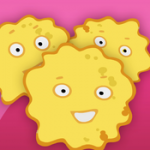 Carb Counting with Lenny is a great starter app for children with diabetes that tackles the abstract concept of carbohydrate content in food. 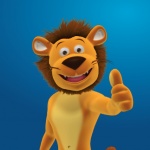 With a friendly game format a cute cartoon lion named Lenny teaches about carb counting which is a meal planning technique for managing blood glucose levels. 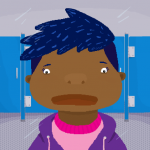 Managing Type 1 Diabetes is an excellent, interactive cartoon tutorial app explaining diabetes. This app is great to use at diagnosis for easy, understandable information that concludes with a positive focus on the key treatment goals of: “no symptoms, feel healthy, living the life you choose, and no complications”. This is a fantastic story-based app about a high school student who just isn’t feeling “quite right”. The story goes through her realistic experience of getting a diagnosis of type 2 diabetes. While it validates the many emotions and stresses a teen with diabetes may experience, it’s cautious yet positive tone leaves the user feeling they do have control of how they feel through their health behavior choices. A National Institutes of Health funded app developed by the University of California at Berkeley. 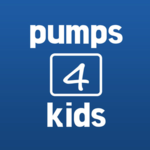 Pumps4Kids is a tutorial app to educate parents and children about diabetes management. It addresses some basics of blood glucose control with topics such as insulin pump basics, carbohydrate ratios and insulin sensitivity factor (with a factor calculator! ), exercise, sick days, and diet principles. It’s a good reference. OneTouch Reveal is one of many companion apps designed to wirelessly sync data from their monitor into the app. The app design is excellent and easy to read with little clutter. The app itself can be used without the coordinating monitor with hand entries, so it is possible for persons to trial the app to see if is fits their needs before purchasing any compatible monitors. Very positive logbook features include the important basics: glucose data, carbohydrates consumed, insulin, and exercise all with note sections, which keep it flexible to individual needs. Summaries, patterns, and graphs are all This is a great transition app for someone who has been tracking using paper and handwritten entries. Very important to note is the developers obvious continuous time and attention to maintaining the app by seeing their updates and improvements. This isn’t always the case with health monitoring apps and keeping up with current technology as well as striving for constant improvement is reassuring that the app will be functional in the future. 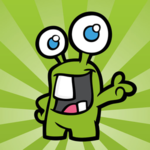 One of several “mySugr” apps, the mySugr Junior app uses humor and a “little diabetes monster” cartoon to actively engage children in the management of their own diabetes care by “Taming the monster”. It stands out from many apps with its innovative approach as a communication tool between parents/caregivers and their child with diabetes (the app is on each persons device). A child logs their glucose, food, insulin data and even an optional photo and the app provides feedback. These entries are sent as a message or email to the parents for safe monitoring. A great way encourage self-management. There is even an option when recording data to snap a photo for clarity or fun. Another quality app by the same developer include mySugr Logbook, a more “grown up” version mySugr Junior. Diabetes Importer by mySugr is another app that imports blood glucose monitor data directly into mySugr Logbook by “scanning” the screen of the monitor. There are also several diabetes education apps offered by mySugr. 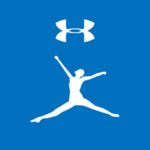 MyFitnessPal is a popular app for recording dietary intake that includes food composition data. It can be used as a reference source for determining carbohydrate content of foods. With a comprehensive food database, it is easier to find nutrient data on common and less common foods including those found in restaurant chains. The scanner feature makes it very easy to locate exact products for the most accurate estimation of carbohydrate content of food consumed. A very important caution, this app is designed to estimate calorie, macronutrient intake, and micronutrient needs based on persons who are 18 years old and older using their age, gender, height, weight and activity levels. So the app should only be used in children as a reference look up for carbohydrate and nutrient content and as a food record logbook, but not as a source of nutrient intake needs or recommendations. CalorieKing is another reference app to determine carbohydrate content of food with its extensive collection of food composition data. 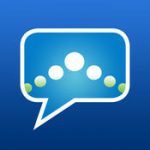 A popular app used by many health care professionals working in diabetes education and recommended for people diagnosed with diabetes. The information is displayed in a simple, organized, uncluttered way making it easy to use and understand.